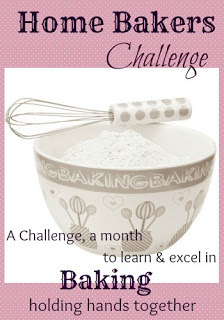 A month ago Priya Suresh started a new group called the Home Bakers Challenge (HBC) along with some of her friends . The purpose of this group is to try out a challenging recipe that a member of the group picks. There is always room for cosmetic changes such as toppings etc. In that order, Divya picked pizza baking as the first challenge. She offered us two bases and a variety of sauces to choose from. 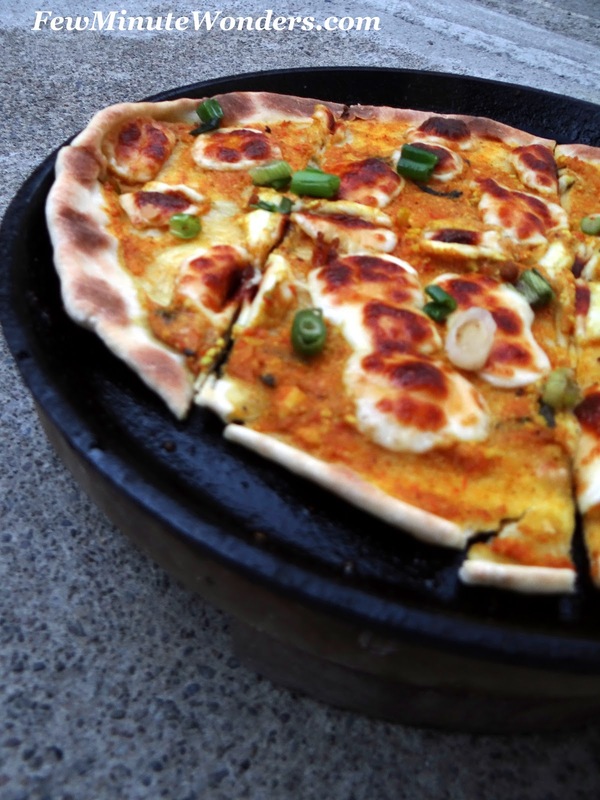 I picked Puja's Naanizza for the base and used Shahi Paneer as the topping to create my pizza. This was what I served my family for dinner on Mother's Day. 1. To a cup add milk water, oil, sugar, salt and yeast and allow the yeast to froth. 2. In a bowl add flour, yogurt and yeast liquid. Mix well to form a sticky dough. Knead the dough well by applying some oil in your hands, add some flour if required and allow it rest in a warm place for 45 minutes. 3. Set the oven on broil. Roll the naan dough to a tear drop shape. Place it on a well oiled iron griddle. Allow for the naan to get cooked half way. 4. Remove the naan, spread shahi paneer sauce all over the naan. Add the cheese and put it back in the broiler and broil the naanizza until the cheese is all melted and the base looks well cooked. If by chance your cheese starts to get toasted (like mine did), remove the naanizza from oven, heat your stove and allow for the base to get lightly toasted on medium heat. 5. Sprinkle some spring onions, slice and enjoy them. I loved the shahi paneer flavored pizza. 1. How to fix a problem when you have a base that is not perfectly toasted. 2. Trying Indian Curry Toppings makes the pizza very tasty. wow would love to try it now :) simply awesome.. Very nicely done, looks awesome..
wow..looks so delicious n perfectly done! Naanizza looks too inviting!! Hi! Your shahi paneer recipe was nominated as one of the "Best Shahi Paneer Recipes on the Net". To vote for it, please visit http://easyindianrecipes.org/side-dish-recipes/best-shahi-paneer-recipes-on-the-net-vote-for-your-favorite/ - your recipe is positioned at #80 (random order).